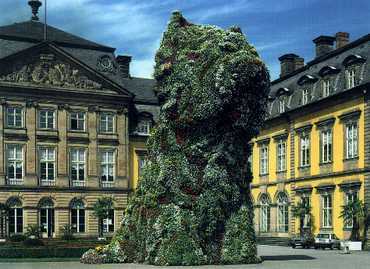 260 x 200 x 470 in.Schloss Arolsen bei KasselIt is worth seeing. Place and Puppy seem made for each other. When dog and house pop into view at the crest of the hill, they can take the breath away. Together they look like souvenirs from another planet, one where the bric-a-brac shelves are as tall as the Eiffel Tower.